A fun cover, don’t you think? There is Jacob, a faithful shepherd. On his way to finding a lost sheep. 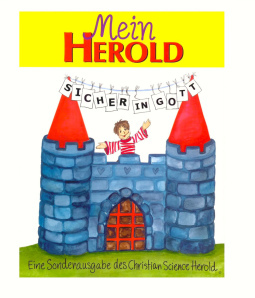 A friend and I wrote this book for you (in German, sorry!). It is a story told by Jesus - and of course it has a good ending! I find this little cartoon very clever and funny. I found it on the TMC Youth Website. What do you think? Articles From Me To You!